Ooh, what a fabulous gift! How nice that you had a chance to break it in so quickly. =) Your tart looks delicious. 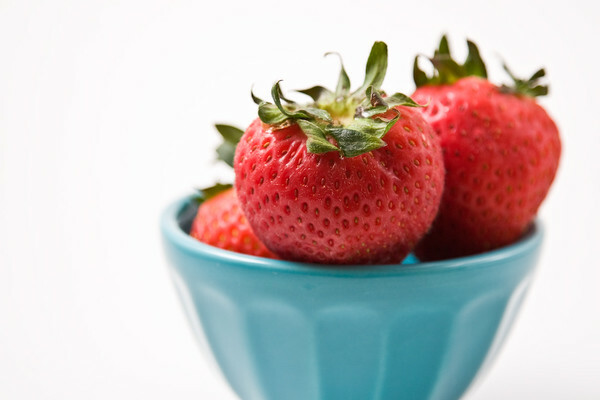 I absolutely adore the strawberries in a blue bowl picture. You have such a great eye. Mind if I ask what camera you use? Great job! that tart is a knock-out! and a food processor is a great present...it's so useful! Man! You make those strawberries look good. Damn. lovely tart and lovely gift!! great photos! *jealous* I so want that shiny food processor. I loved the tart pictures-but my favorite was the strawberries in the blue bowl. I love light blue and red together. Gorgeous! Great job with this! It turned out to be a dangerous tart, didn't it? i would kill to get that gift! ;) wonderful job on your tart. the tart crust looks amazing! 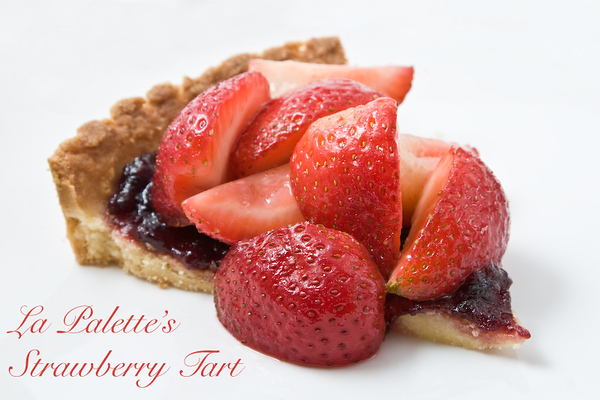 Your tart looks great and so do the photographs. Great pictures as always!!! You are a true artiste!!! Your stuff always looks so delicious and lucky you, what a fab new food processor! Wow, what a great thing to come in the mail! I miss wedding presents, lol. Your photos are amazing. Great job! What a wonderful gift! Gotta love the KA! Have to say little jealous I have a really small white old KA food processor I want a shiny new one! Great job on the tart and I love the pics! Oooh, what a beautiful photo! Of that food processor - it's gorgeous!! :) And so, of course, are all your food photos. I think strawberries enjoy being photographed. Just an observation. 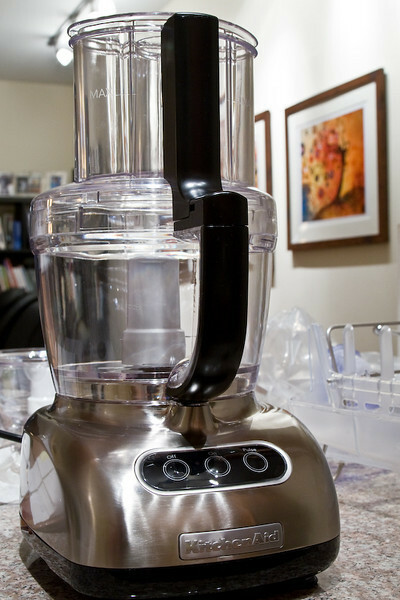 (sobbing) I want that food processor...it's gorgeous! And so are your photos! I get so fat on your blog! your pictures are absolutely gorgeous. the tart looks amazing. and what a great gift to get in the mail! Great job! I love your pictures! Great job! Your pictures are fantastic!! I like your food processor, I don't have any. 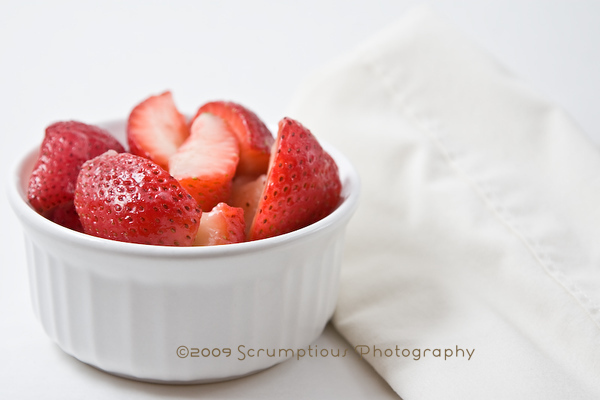 Your strawberry pictures look scrumptious! Oh you lucky girl! A KA food processor?! I need to get morried (again)...LOL! Your tart looks good and I hear what you're saying about that the tart dough...it was way too tasty! Congrats on your DMBLGIT award. Your tart looks gorgeous! And, your photography certainly is scrumptious! Great job! @lynnylu, thank you!!! :) i actually had no idea till i saw your comment! Your photos are gorgeous. Your tart looks delicious. I like how the berries are tumbling out. What a lovely way to break in your new baby! Nice -- even if you had to toss some. I remember I only ate brothy soup for six months before I tied the knot! I totally agree with you about crust, lol. Love your pictures! they could be in a magazine. I used pastry cream, not realizing it was basically the next recipe. Oops! But I'm glad I did, I really think it made the tart. The crust is my favorite part too! Your pictures are fabulous! Gorgeous! And what a great gift! Beautiful photography!! You could publish your tart, it's that perfect. 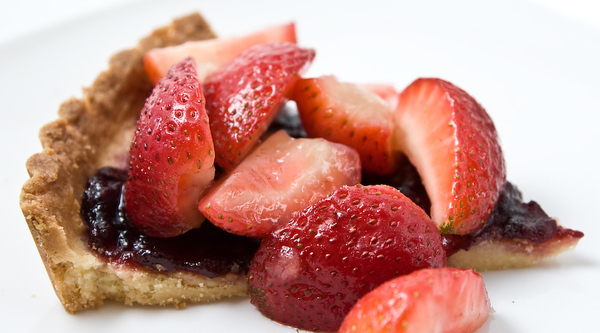 YOur Strawberry Tart looks so delicious. What great photos you take! By the way, we have the same Kitchen Aid food processor. After 25 years, my Cuisinart food processor was retired.